Black Black Gum comes straight from Japan. 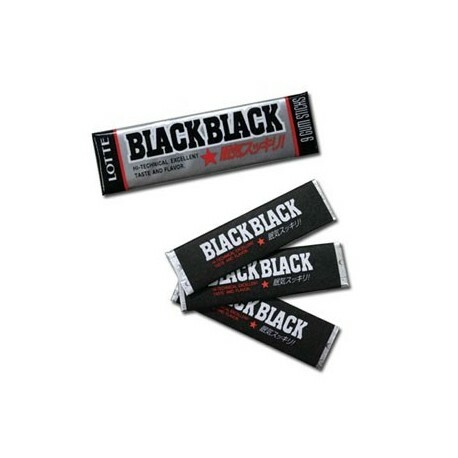 Infused with caffeine and vitamin B-3, this gum has an intense peppermint flavor. Is the gum black? Well, kind of....more like a grey, but who cares! Grey Grey Gum just wouldn\'t have the same impact. Looking at the package, it says \"Hi-Technical, Excellent Taste and Flavor\". You can\'t argue with that folks! When was the last time you had Hi-Technical gum? Each pack of gum contains 9 sticks. These taste like Halls Mentholyptus cough drops at first--SUPER intense, but then it calms down to a refreshing peppermint flavor that lasts a long time. I love the way it makes my mouth tingle and feel really clean. Great gum without the funky taste of other brands. You can feel the effects from first chew. Definitly will buy again and contiue to hand out to others cause this gum is the chew delight. This is soooo awesome that I don't have to order form Japan to get this product! Have been waiting a long time for this...& it didn't disappoint! I commute approx. 40mi (one-way) daily & was going home real late one night. Ate 1 pc earlier in the day to try but didn't feel a significant effect. B4 going home, had 3 pcs. Man! That drive was NOTHING. Woo-hoo! I had been thinking about buying this gum for a long time, but never really got around to it. I have not read any reviews, so I did not know what to expect. It is pretty damn good. The pack that the gum comes in looks so damn cool. I cant read most of the stuff on the pack cause it is in some Asian writing. Each stick of gum comes with an outside wrapper and an inside wrapper, and occasionally you will come across one that just says "Yes, Chewing! ", I have no idea what it means though. 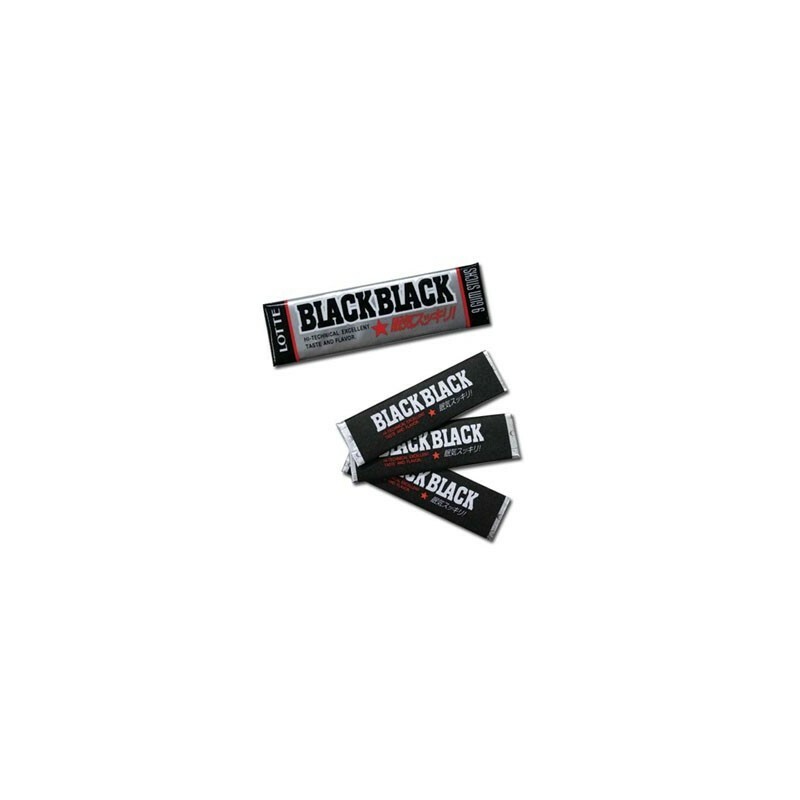 The gum looks purple/black, hence the name "Black Black", and it has a pretty good peppermint flavor, not too intense and not too weak. I like it so far and the boost from one stick is pretty good. If you are curious about buying this then do it, at least buy one pack. I know I am going to buy a few more packs.